The Fairytale Hairdresser meets The Lion, The Witch and The Wardrobe in this magical new picture book series about a girl and her enchanted dressing-up wardrobe! Join Molly on her second magical adventure as she visits the enchanted dressing-up wardrobe in her Granny's house. There are so many costumes to choose from in her magic dressing-up wardrobe. Today she's going to be . . . a mermaid! 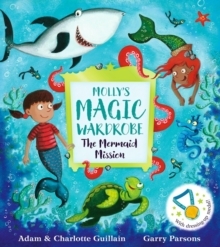 With a whizz and a pop and a shower of stars, Molly dives below the sea and soon finds herself on a mission: she must race to save the mermaids' shipwreck from some pesky sharks! 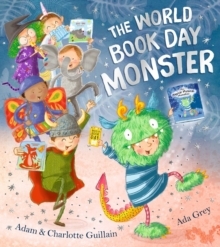 This rhyming adventure full of magic is brought to life with bright, eye-popping artwork from Garry Parsons, illustrator of the bestselling Dinosaur That Pooped series. Collect them all! Join Molly on her first adventure as she whizzes off to fairyland . 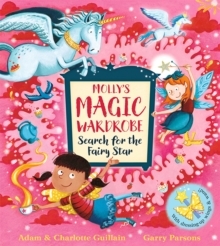 . . Molly's Magic Wardrobe: Search for the Fairy Star - 9781405285254Adam Guillain is a children's writer, musician and a co-founder of Storytelling Schools. Charlotte Guillain taught English to air traffic controllers and nurses before deciding a career in publishing would endanger fewer lives. 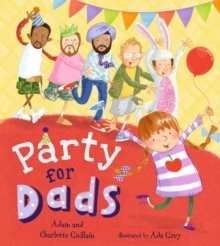 Since meeting in Zanzibar while working with Voluntary Services Overseas, they have written several picture books together including Supermarket Gremlins, School for Dads and the George's Amazing Adventures series. 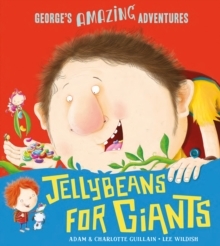 Garry Parsons is a bestselling illustrator who has worked on several children's books including the hugely popular Dinosaur That Pooped series. He has been published by Scholastic, Random House, Puffin, Egmont, Hodder, Andersen Press, Walker Books and others, including many foreign editions. Garry lives with his young family and old dog.